DELAWARE OAKS. 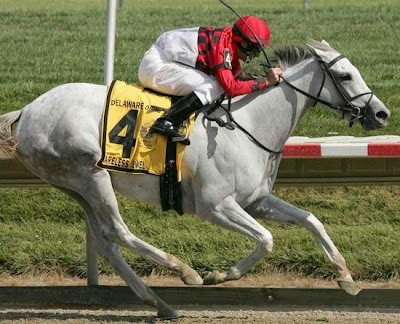 Jockey Robert Landry and Careless Jewel winning the $250,000 Delaware Oaks Gr. III. Edward P. Evans’ Virginia-bred Malibu Prayer was second.